Now researchers at the University of Maryland's A. James Clark School of Engineering have demonstrated a successful prototype of one critical component for affordable small-scale desalination: an inexpensive solar evaporator, made of wood. The evaporator generates steam with high efficiency and minimal need for maintenance, says Liangbing Hu, associate professor of materials science and engineering and affiliate of the Maryland Energy Innovation Institute. The design employs a technique known as interfacial evaporation, "which shows great potential in response to global water scarcity because of its high solar-to-vapor efficiency, low environmental impact, and portable device design with low cost," Hu says. "These features make it suitable for off-grid water generation and purification, especially for low-income countries." Hu and his colleagues minimized the need for this maintenance with a device made out of basswood that exploits the wood's natural structure of the micron-wide channels that carry water and nutrients up the tree. "In the lab, we have successfully demonstrated excellent anti-fouling in a wide range of salt concentrations, with stable steam generation with about 75% efficiency," says Kuang. "Using natural wood as the only starting material, the salt-rejecting solar evaporator is expected to be low-cost," adds research associate Chaoji Chen. The evaporator approach also is effective in other types of wood with similar natural channels. The researchers now are optimizing their system for higher efficiency, lower capital cost, and integration with a steam condenser to complete the desalination cycle. 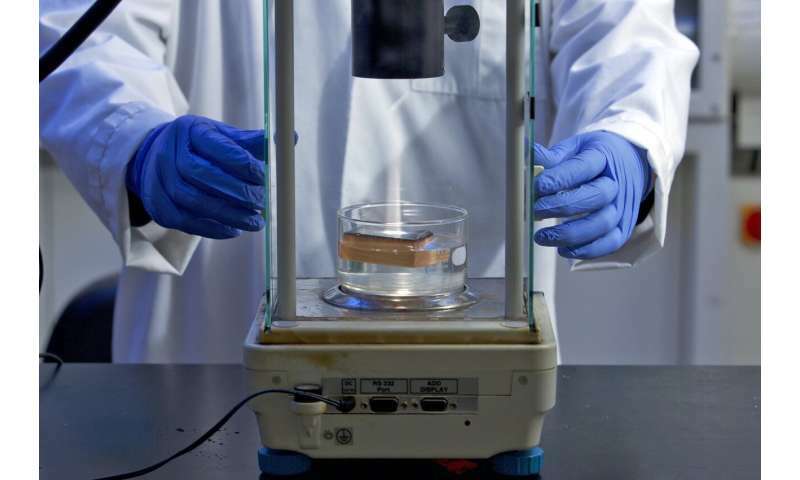 Hu's lab also recently developed another solar-heated prototype device that takes advantage of carbonized wood's ability to absorb and distribute solar energy—this one created to help clean up spills of hard-to-collect heavy oils. "Our carbonized wood material demonstrates rapid and efficient crude oil absorption, as well as low cost and scalable manufacturing potential," says Kuang, lead author on a paper about the research in Advanced Functional Materials. "Wood is an intriguing material scaffold, with its unique hierarchically porous structure, and it is a renewable, abundant and cost-effective resource," Hu says. "In our lab, the fundamental understanding of biomaterials (especially wood) leads us to achieve extraordinary performance that is competitive with widely used but non-sustainable materials." Among other projects, his lab has created light and effective "nanowood" insulating materials. It also has engineered "super wood" that is 12 times stronger and 10 times tougher than natural wood, and potentially may replace steel, titanium or carbon fiber in certain applications, he says.